Matt and Marta Walsh acted professionally with patience and insight as they represented us in the sale of our home. They never pushed for a concessionary sale but instead felt our home was priced correctly. This rang true when it sold, verifying their belief. We would recommend them as brokers to handle others sales and purchases without reservation. We used another broker for a year before listing them and were very pleased with the change. In this age of mistrust, not only in politics but in business as well, the Walsh Group stands out as a source of great professionalism. In our long lives, we have dealt with many realtors but none have exhibited the concern and attention during the selling process that Marta and Matt have. They laid out their plans and adhered to them faithfully, but also used some ingenuity to make things happen. We respected their opinions and valued their judgments; that led to a successful transaction for us. Many thanks for enabling us to begin a new passage in our lives. The listing that I had with Marta was extremely unique and had some challenges but was an extraordinary opportunity for the right person. Unfortunately my previous experience with listing the home was very negative with the agent unwilling to do any promotion and often refusing to show the home as she was living part-time outside the Valley. Marta wrote to me on several occasions expressing her interest and belief in the property which demonstrated her knowledge as to the kind of property that it was. After researching several agents, I decided to contact Marta and discuss the potentiality of listing my home with her. Right from the very beginning she understood my mindset and approach towards listing the home and what kind of buyer needed to be brought to the table. I stated quite clearly that I was not interested in the typical machinations of real estate negotiations that have agents beat up the seller to lower the price. I insisted, and Marta agreed, that once the right buyer came along that they would see the value in the property and that close to the listing price would be realized. We received a great many offers that were lowball that seemed to be people that were just bottom fishing. We rejected these out of hand as there was no use in responding to people that were not willing to see the value or were looking to make a quick flip. The traffic in showings was steady and the interest was brisk and ultimately we received two legitimate offers within the space 24 hours. We could tell that one was genuine and that the couple were serious to make the house their home and they ultimately became the purchasers at very close to the list price. Once the final contract was agreed upon Marta kept me informed as to all stages of the escrow process and help expedite the communication between the buyer, escrow office and myself. In general what made this a positive experience was that Marta was a good listener and understood my expectations. My yearning to keep things on a positive track and maintain and optimistic approach kept our interaction looking forward toward a successful outcome. 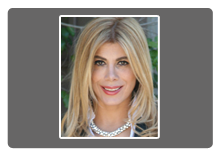 I would recommend Marta as she is someone that is knowledgeable of the marketplace and has the communication skills to foster a positive outcome to a listing. We selected Matt and Marta Walsh after interviewing four agents in preparation of putting our house up for sale in January 2018. We had our house for sale in 2017 and it did not sell so we wanted to be more selective in who would be excited and the most positive about selling our home. Matt and Marta filled the criteria wholeheartedly. From the beginning their thinking was like ours regarding the location, price and condition of our home. They did not ask us to change or move this or that in hopes of improving the chances for a sale.They brought prospective buyers through regularly, sometimes two or three a day and, sometimes, at a moments notice. At times it was challenging for both of us. Their broad exposure and great photographs of our listing helped bring the most qualified buyers. They never let us get discouraged as their positive attitude regarding a forthcoming sale was addictive. They are truly a nice, hardworking and friendly couple who are missed when the sale is completed. Marta and Matt made our home selling experience smooth. They were always organized, timely, and available to answer questions and guide us through the process. It was comforting to know that we were in capable hands who always looked out for our best interests. We look forward to recommending their services to friends. After reading Marta and Matt’s newsletter for years living in Scottsdale, it came time to sell our home and they were the first realtors in our minds. Marta and Matt hit the ground running by organizing a very professional staging and photo shoot of our home, and never stopped from that point forward. They held open houses almost every weekend through the beautiful winter season and kept us updated of every showing and how things were looking. Marta and Matt are an obvious choice because of their affiliation with truly the premier real estate agency in the valley, but their hard work, dedication and overall wonderful personalities made our sale process into one that was easy and quick! They sold our home faster than we expected, and for our target price. Thanks to them both! I’d highly recommend Marta as your next realtor! I live in Scottsdale and have worked with numerous realtors over the years, the majority of whom showed well as they marketed their services…but were disappointing once they went to work. Marta came highly recommended – I talked to 4 references prior to moving forward – and she didn’t disappoint. She worked with me to prepare my home for sale, worked tirelessly as we marketed the property and was incredibly valuable once we’d received an offer and were working to satisfy all buyer requests. She even identified, contacted and managed various vendors as they completed their work, often meeting them at the house and ensuring that all work had been completed correctly and on time…an invaluable service given my hectic travel and work schedule. We recently closed on the sale of my home and I couldn’t be happier with the work that Marta did to close the deal. She’s hands down the best realtor with whom I’ve worked and I absolutely recommend you hire her as your next realtor. In 2017 we decided once again to list our Fountain Hills home for sale. We had previously had our house on the market for 11 months in 2016/2017 with no tangible results. We decided that one of the keys to a successful sale on this go-around would be to choose a realtor who would proactively list our home and work the details needed to assure a better result. Matt and Marta began with a detailed market analysis of our area and home details- leading to a good sale price. They followed up with a professional market plan for our home and set up a professional photographer (including the use of drones for state-of –the art photos). Excellent process and tools. During the sale process they were available for any questions/concerns 24-7. It was important to my wife and I to have a realtor who “had our back” no matter the question/concerns/actions- no matter how small- they were there. Excellent communicators. Lastly, during the closing process, they were with us every step of the way. They were present during the buyer’s bank inspection, the inspection walk-through, and the final walk through prior to closing. They even communicated with the roof repair company to assure timely completion of repairs required prior to closing. Nothing’s too small- detail oriented to the end. We will definitely call Matt and Marta again when we decide to sell our home in the future. When we signed the construction contract for our new home our immediate concern was selling the house we were in…and on a deadline! The market, we were told, was pretty good, but we’d seen a couple of properties in the neighborhood sit for an extended time. We didn’t have an extended period of time. Enter Marta Walsh. We found Marta through a recommendation from a work colleague, a senior sales executive who knows something about sales skills. He spoke highly of her customer-first attitude and her do-whatever-it-takes work ethic. He couldn’t have been more right. From our first meeting we knew we were working with a true professional. Her knowledge of the market was evident; her understanding of marketing – pricing, promotion (both online and traditional), staging – was obvious, as well. But what was most important to us – and what convinced us she was the right agent for us, was her commitment to be personally involved with each showing. We wanted an advocate for our home, someone that was going to show it to its best advantage at every opportunity. Long story short: we sold the house in about 7 days from the listing. The photographs of the house she used in the listing drew a huge surge of interest from day one; the first open house the weekend following the listing drew as many as 50 people. We listed on a Tuesday, we had an offer the following Monday; and at 98% of asking price. We cannot say enough about the support she provided throughout the process – from the initial discussion, through staging, through photos right through to the closing. She was there at every step of the way. I hope not to be selling a house any time soon (hard work, moving!) but when and if the time comes, no one else will get my business. Marta gathered listing info for my wife and I in 2011 when we were starting to look at property in Phoenix. She remained to send follow up info for us during the next 18 months, even though we never went ahead with a purchase. In April of 2013 we decided to purchase property, Marta arranged showings for us and even met us at the airport, took us to the showings and we made an offer. Through the whole purchase procedure, Marta and her sales team were very professional, helped us out with every detail. They worked very hard to make sure we found the right property and at the best price possible. Marta’s whole team was with us right until we received the keys for our new home. Thanks Marta for helping us with the purchase of our Phoenix property. I very much enjoyed working with Marta and really appreciated her professionalism, knowledge and attention to detail. She provided great market insights and produced excellent marketing materials. She handled both my residential purchase and the sale of my existing property which she sold in just five days so that I was able to purchase and close within the same week. She definitely managed the process and kept it all on track! Marta was always on top of everything. When i would call to check on something, it usually had already been done, from arranging services, to letting in Fire inspectors when the buyers Agent failed to show up. Always easy to get a hold of and never lets anything slip through the cracks. Thank you for all your help Marta! When we first listed our home, we chose a well-known “Team” company. There were few showings and at the end of the selling season, we took our house off the market for the summer. As we thought about whether to continue with last season’s “Team”, we realized that we had only one relatively inexperienced realtor whose “teammates” were nowhere to be seen. We erroneously believed we had everyone in that firm working to sell our house, and it just wasn’t true. When it was time to relist, we received many contacts from realtors. One stood out … Marta and Matt Walsh. During their interview, Marta Walsh said she had reviewed the pictures of our home on line and she thought they weren’t of the quality that they should be for a luxury property like ours. She was right! The “Team’s” pictures were subpar. After our interview with Marta and Matt Walsh, we quickly realized that they truly are a team. Each has an expertise and compliments the other. It has taken considerable time to finally attract the right buyers for our unique property. We appreciate Marta’s cheerful tenacity and Matt’s willingness to try anything. They always listened and they stuck with us through a lengthy, tough market. We appreciate everything Marta & Matt have done for us in selling our home. We especially appreciate Matt’s stepping up when the transaction process faltered. Matt & Marta are a true Team and will not let you down. Thanks Marta for the good work! Please use our testimonial, and always continue to treat people the way we were treated.